Also notable is the graceful and open flow between the salon and cockpit, facilitated by a deckhouse that opens almost completely between the two areas. The 50 Eastbay’s arresting new look is complemented by a new pod drive propulsion system that offers improved handling, precision joystick control, better fuel economy and a host of other benefits to owners. 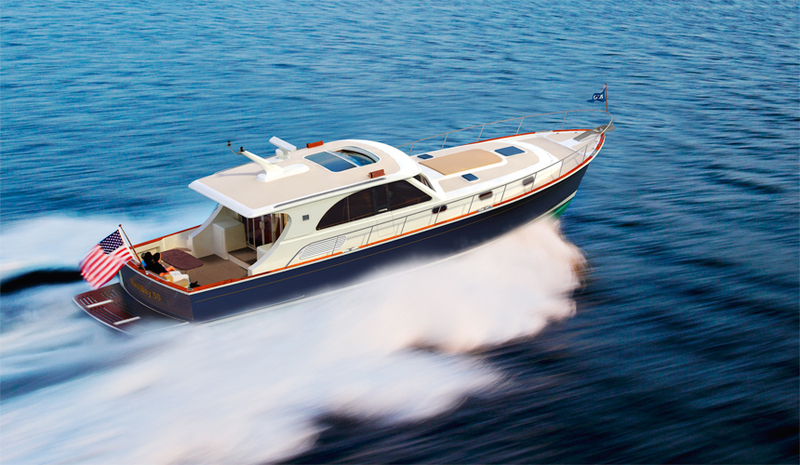 The announcement of these two new yachts comes at a time of surging sales for Grand Banks. Over a period of less than ninety days the company has captured approximately US$15 million in new sales of its Heritage, Eastbay and Aleutian models across markets worldwide.